If you’re even remotely interested in entrepreneurship, or the future of business, this book is a must read. Reading this book was like getting the wisdom from a guy that had advised some of the best and most successful founders in the last 15 years. A fascinating read that does not disappoint. This is definitely not a $100 Start-Up competitor, but there are bits of wisdom that can be applied to any business out there. I will say that there are some fantastic questions in this book that every founder of a new business needs to consider. Most readers would likely be coming back to read these questions again and again. In addition, Peter questions the status quo and challenges the beliefs of many in ways that might be surprising. If I had to summarize the contents of the book, I’d say that Peter Thiel believes strongly that we should aspire to think differently, to go against the norm, and to plan for the future. He believes competition is bad for profits and urges that new ventures do their best to avoid it. And finally, Thiel states that the best companies are built upon the foundation of like-minded founders that believe in a secret truth that most people would deny. This is the question that Peter asks every one of his potential employees during an interview. Obviously a simple question, but a difficult one to answer in an interview. The answer is obviously going to be something you believe is unpopular, something you weren’t taught in school, and probably the last thing you want to say in an interview. The answer requires courage. Peter asks the difficult interview question because if you can identify a mass-delusion (something many people believe that you know to be false) you have a better chance at discovering the contrarian truth behind it. Make incremental advances (grand visions are suspect)- Small steps are the only safe path. Peter says that big companies can still be bad businesses. His example is the airlines, that provide a tremendous value, but make very little money because they are in a tremendously competitive market. In contrast, he states that Google provides much less value, but makes a lot more money, because it has a virtual monopoly. Entrepreneurs should seek to start companies that can obtain a monopoly position of some sort. It may be in a small market, but that market would be owned by your business. And yet once our children get into college, the dreams and aspirations they had in High School are likely weeded out of them in order to create more of the same type of graduates that came before them. Peter pushes for finding the business in the non-competitive market. If you can find the place to do business where your customers will be overjoyed you arrived and opened up shop, you’ve found a potential monopoly. The best way to create a 10x difference, is to create something new. Peter warns about going too big at first. Start the business small, and err on the side of being too small, so you can dominate. The idea that we need to disrupt is untrue. You are much more likely to create a successful business if you don’t go up against the big players. If it happens by accident, fine, but avoid competition if possible. One of the more interesting parts of the book, was the chapter in Zero to One that talked about planning and success. Peter is very quick to downplay the educational system in America today. Definite Future, or Indefinite Future? Europe since the 1970’s is in this state. They react to what is happening, they take vacation after vacation, but ultimately have no idea where to go next. They believe the future is bleak, but it is predictable. So they need to be prepared. China is the most “definite pessimist” in the world. China is the only country in the world that doesn’t believe that it will eventually take over the world. They all believe that success cannot continue, that it will have to come to an end. The future will be better than the present if they plan for it. The 17th Century through the 20th Century saw the most “definite optimists” than ever before. Much of the world resources were made to better the existence of man. The future will be better, but they don’t know how. They re-arrange already invented processes. It’s a world in which “tweaks” of existing things dominates. This mentality has dominated America since 1982. Finance epitomizes indefinite optimism in that it is the only way that you know you can make money when you have no idea what will happen. In an indefinite world, the best way to make money is to invest money in a diversified portfolio. The bankers, wall street, money men, have no idea what will happen next, they just know they can make money by diversifying and charging a “management” fee. Note: One of the great things about Infinite Banking is that it’s the opposite of what Peter is talking about here. You aren’t just sitting back and hoping for the best, you’re actively involved in using and growing your money. In fact, you’re able to grow your money the slow way through arbitrage, while also using it to invest in those opportunities that best suit your needs. Indefinite optimism does not work because it is not sustainable. How can the future get better if nobody plans for it? Peter believes the reason we follow this ideology is because we believe in evolution – or simply put, progress without a plan. He doesn’t think it works in business, and he stresses we need to return to progress due to a designer. Peter still believes that there are many secrets in the world. He knows the question “What valuable company is nobody building” is hard to answer. But he believes the answer is out there. Solid businesses need to have founders that are unique, but unique in the same way. As an example Peter mentioned that all the founders at Paypal loved Cryptonomicon and Star Wars, but not Star Trek. His point is just that you have to have a group that is cohesive and works well together. And this group needs to be able to think differently about things, but more specifically they need to believe in the truth behind the secret of their business. The Engineering question: Can you create break-thru technology instead of incremental advancements? Companies need to strive for 10x improvement over existing competitors. The timing question: Is now the time to start your particular business? Building microchips in the 1970’s was good timing. Building solar cells in the 2000’s is not. The distribution question: Do you have a way to both create and deliver your product/service? The durability question: Will your market position be defensible, 10 & 20 years in the future? Great companies have secrets that not everyone else can see. If everyone thinks that solar is the next great business, then how will you profit? What is your secret? Any reader of Zero to One comes away from the experience with the knowledge that Peter Thiel doesn’t like following the herd. He loves the path less traveled and he preaches it eloquently. 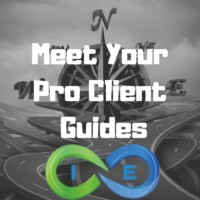 At I&E we also believe in taking the path less traveled, and we believe that those that are looking to make the most out of their financial future would do well to use our expertise. Please contact us if you’d like to get a free evaluation of your financial situation, we would be happy to connect. Insurance and Estates is a participant in the Amazon Services LLC Associates Program, an affiliate advertising program designed to provide a means for sites to earn advertising fees by advertising and linking to amazon.com. Amazon, the Amazon logo, AmazonSupply, and the AmazonSupply logo are trademarks of Amazon.com, Inc. or its affiliates.